With the steady increase of Tech’s undergraduate enrollment from 12,360 in 2006 to 15,142 last year, it is understandable that spaces to study in may seem a rare breed. Yet, a few simple changes and additional resources could go a long way to alleviate the intense crowding seen in public campus buildings like Clough. Understanding why there is such a pre-disposition towards using Clough and other similar areas for many students is not difficult. At FASET and during tours of campus, it is not uncommon to hear from the guides that Clough is where students spend a lot of time studying. While the statement is not untrue, it can serve to incorrectly put forward the notion that there are not really alternative places to look. In reality, often times many suitable and even quality zones for studying tend to go unused simply because students do not realize that they are available to them. This is the case a significant amount of the time with a good number of major buildings, such as Mason and the MRDC. An easy way to work towards fixing the apparent lack of awareness amongst the student body would be an online resource that lists available study spaces on campus, both for all students and for each major. 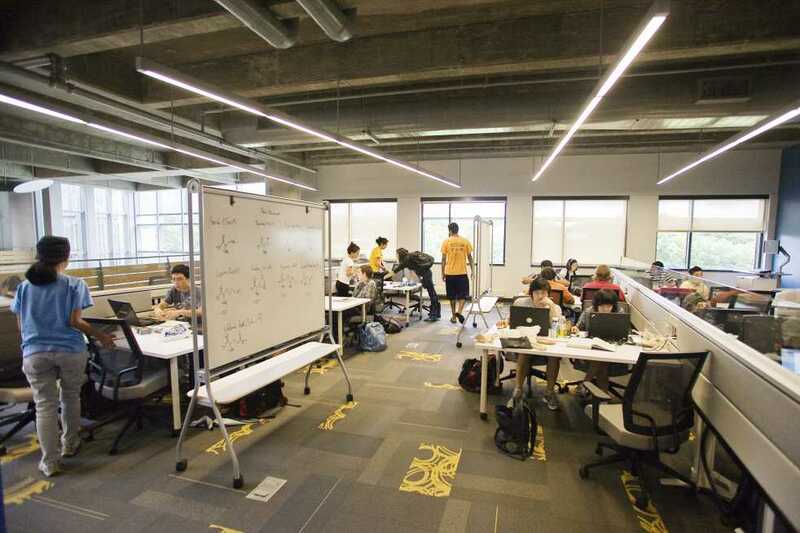 A link provided somewhere like Buzzport would translate into new students without experience having easy access to information that lets them find new study spaces. Another idea would involve broadening Buzzcard access so that any student within a given college (i.e. the College of Engineering) would be able to get into any of its buildings after hours. This would be beneficial for many of the smaller schools, as their students would then reliably have more options for study spaces despite their majors not boasting robust buildings. In essence, the solution to overcrowding is very much within reach. All that is needed is awareness and minor change.